Produced by Bluezone Corporation, 'Electrostatic Field - Experimental Cinematic Samples' features over 835 MB of Ambient, Electronic, Soundtrack, Trailer sounds and SFX. 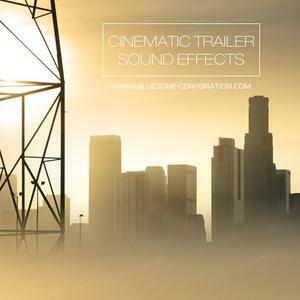 Cinematic Trailer Sound Effects' features over 1.07 GB of captivating Cinematic and Trailer sound elements: energetic drones, epic rises, imposing impacts and hits, disturbing soundscapes, whooshes, intense atmospheres, dark synths, sound effects and more. This sample library in AIFF and WAV format provides 158 complex and inspiring sounds ( 158 WAV + 158 AIFF ) in industry-standard 24-bit wav. 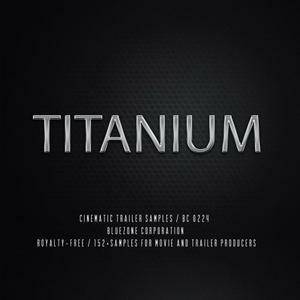 Bluezone presents 'Titanium - Cinematic Trailer Samples', a state-of-the-art sound library containing 152 samples ready to be injected in your movie, documentary, video game and multimedia projects. This downloadable sample pack provides a wide range of intriguing elements such as captivating ambiences, energetic sequences, electrifying whooshes and transitions, highpowered drones, dynamic impacts, fascinating sound effects and more. 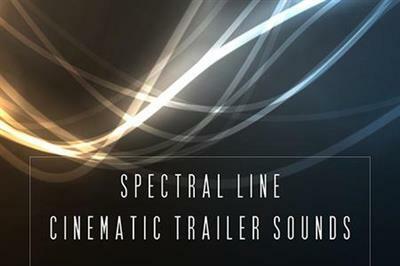 Bluezone Corporation presents 'Spectral Line - Cinematic Trailer Sounds', an ultramodern collection of ambiences, evolving soundscapes, nervous drone sounds, cinematic SFX, impacts, meticulously recorded synth textures, energetic transitions, rises, whooshes and more. Cobalt - Trailer SFX' from Bluezone Corporation contains over 179 ambiences, massive impacts / Cinematic hits, dark soundscapes, energetic sound effects, rises, industrial background sounds, transitions / whooshes, analog synth drones and innovating textures you never heard. All samples are perfect for cinematic and movie music productions, modern soundtracks, Ambient / Experimental musical projects, Trailers and more. 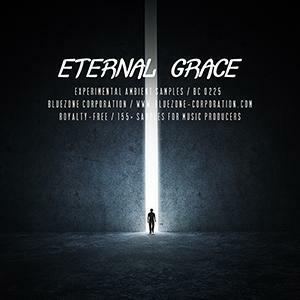 'Eternal Grace - Experimental Ambient Samples' features over 560 MB of inspiring cinematic, electronica and ambient production elements: evolving pads, a wide range of intense music loops, ethereal synth sequences, deep bass and synth one-shots, textured vocal sequences and more. This sample pack contains 155 loops and samples in WAV format.